Nanny Biz Reviews is proud to present the first annual SPARK Awards for Excellence In Nanny Care. The SPARK Awards celebrate everyday nannies doing extraordinary work to support parents, care for children and strengthen families. Each of the two award categories, Enthusiastic Newcomer and Seasoned Veteran, showcase individual excellence in nanny care demonstrated by exceptional childcare, impactful work, and a positive, encouraging attitude. The winners will be chosen through a combination of online public voting and a selection committee. 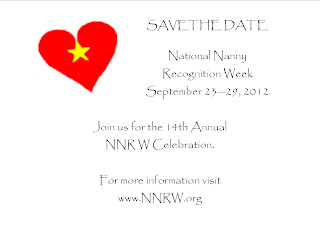 They will be honored at their local National Nanny Training Day event on Saturday, April 20th, 2013. Each SPARK Award winner will receive a gift package including a cash prize. Select Association of Premier Nanny Agencies members have generously come together to be the collective sponsor of the 2013 SPARK Awards. APNA’s commitment to exceptional client service and quality nanny care are the perfect companion to the mission of the SPARK Awards. Regarding Nannies will be regularly featuring industry news from the groups serving the Nanny Industry. These include INA, DEMA, APNA, news on NNRW and Nannypalooza. Find out what these groups are and how you can become a member or support. 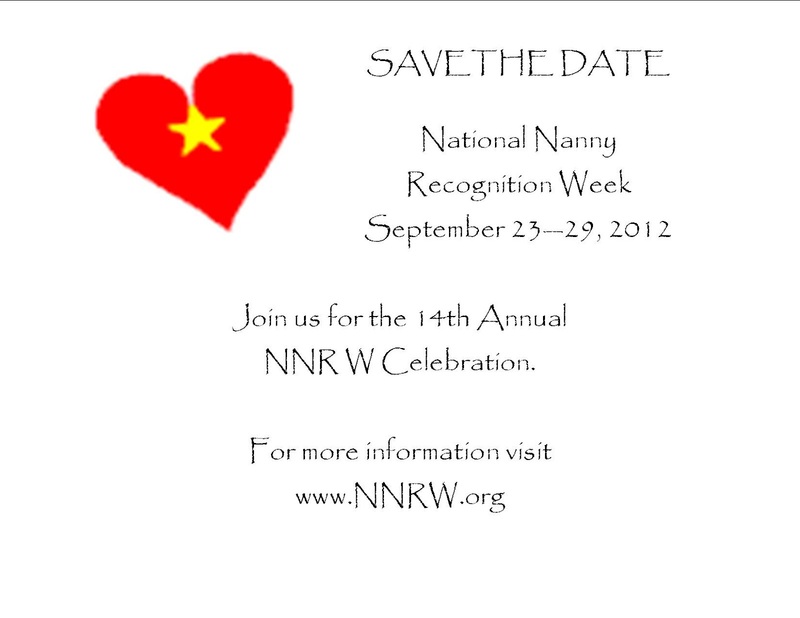 On April 28, 2012 over 1000 nannies gathered in 30 cities across the country for National Nanny Training Day events. These events were hosted by nannies, nanny groups, agencies and educators. Regarding Nannies offers a recap of some of the events directly from the coordinators. Read all about the events and the speakers, and see when NNTD will be in 2013. National Nanny Training Day is an event created by Lora Brawley of Nanny Biz Reviews. This year marks the first conference, of what we in the industry hope will be many more. From Seattle to Boston, Washington DC to Texas, California to Florida - Nanny Groups, as well as agencies, and the Alexandria School have come together to coordinate events that will attract over 1100 nannies nationwide. Some are free! Others charge a fee. But no matter what the cost, the outcome is the same ... nannies coming together to be educated on top issues by top professionals. Erin Krex, First Class Care, Chicago Illinois states it best in her Top 10 Reasons to send your Nanny to National Nanny Training Day .... (reprinted with permission). It’s a small investment with a big payoff. Study after study shows that nannies who receive training consistently provide higher quality care. # 10: Your nanny has cared for older kids, but now that you are having a baby she’ll need additional tips to care for your newborn. # 9: The event will offer “learn today, use tomorrow” sessions that will give your nanny new strategies and solutions to challenging behaviors and ages and stages transitions. # 8: Your nanny is new to the area and this is the perfect way for her to meet other nannies, make friends and even set up play dates. # 7: It will help keep her excited about her job. Connecting with other like-minded caregivers, learning new ways of doing things, being appreciated for the great work she does all lead to a renewed sense of enthusiasm and commitment. # 6: Where else can you find such a variety of professional training in one day for such a great price? # 5: Your nanny will learn about the latest research, explore new approaches and techniques, and develop new caregiving skills: things that will make her a more confident and successful caregiver. # 4: No matter how many years of experience she has your nanny can always learn something new. # 3: You understand—and respect—your nanny’s need to freshen up on skills and continue her education. # 2: Everyone benefits from continuing education. # 1: You value your nanny and want her to be the best she can be. For a complete listing of events, and to find one in your area visit Nanny Biz Reviews.